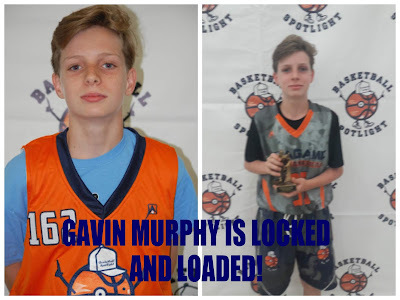 BASKETBALL SPOTLIGHT NEWS: Gavin Murphy Is Locked And Loaded! Last summer Gavin Murphy came to the Future Phenom Camp and proved he was more than just a jump shooter. The Connecticut prospect showed off his poise and ball handling which helped him finish with a #16 ranking and a position in the AGame All American Game. Murphy now returns and will be ready to climb up the rankings at the Future Phenom Camp. Does Gavin have what it takes to climb the ladder? We will see August 25th and 26th in Boyd’s, MD.